Howdy Pardner, From now on you can listen to my adventures, right here. click on the button above, of the story you want to hear. If ya'll like this feature leave feedback in the guest book and we'll add more exciting adventures. 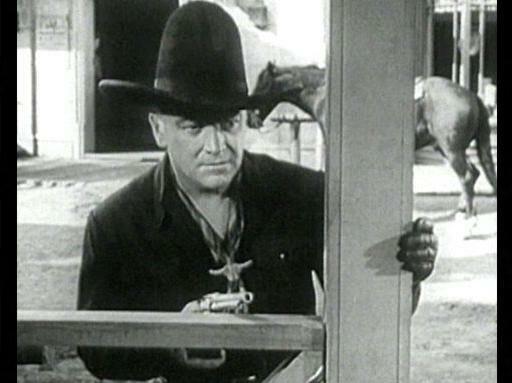 Unlike Tom Mix, William Lawrence Boyd Was more well known by the character he portrayed, Hoppalong Cassidy. 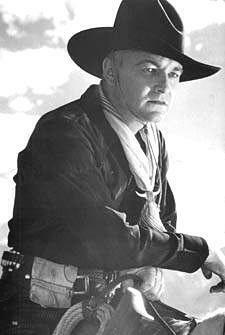 Hopalong Cassidy was created in 1906 by Clarence E. Mulford, the book was "Bar-20. The Hoppy in the books was somewhat different then would latter be seen on the silver screen. He was ill-tempered, foul mouthed and a ornery son-of-a-gun. William Boyd was born June 5, 1895 Cambridge, Ohio. Bill and his family moved to Oklahoma when he was about 7 years old. When Bill was in his early teens, he lost his father in a tragic accident, which forced him to quite school to seek employment to support his family. Boyd set out for Hollywood with dreams of stardom. In 1919 William was given a job as an extra in a Paramount film Called "Why Change Your Wife" Where he impressed the renowned director, Cecil B. DeMille with his handsome athletic appearance and eagerness. He was soon staring in DeMills films. As the depression hit in the 30's, taking it's tool on the desperate masses, many silent era actors were confronted with the audible screen (the talkie). This caused many prominent actors to find them selves in the unemployment lines. Bill however had nothing to fear, for his good looks, acting ability and excellent speaking voice were well known throughout the film industry. Success continued to shine on him until 1932, when a strange case of mistaken identity turned the tables on him. A Broadway actor, with the same name (William Boyd) was arrested a drinking and gambling party. The morning newspaper ran the story using a photo accusing famed movie actor of the scandal. The gossip that ensued was almost enough to ruin his career. His popularity slowly headed down hill, and he found it harder to find work. The thought of giving went against his character, a trait which would prove to be in his benefit in the years to come. 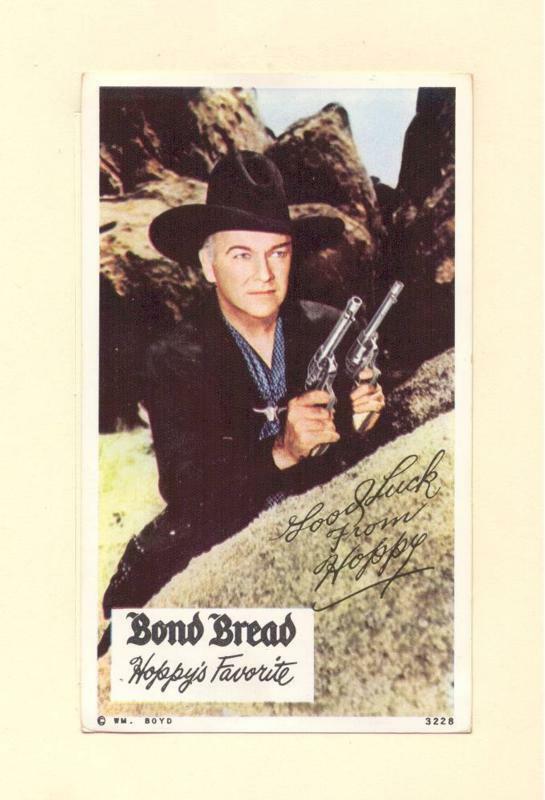 In 1934, his luck changed for the better when producer Harry "Pop" Sherman offered him the chance to star in a new western series based on the Hopalong Cassidy Novels written by Clarence E. Mulford . With nothing to lose, he accepted. 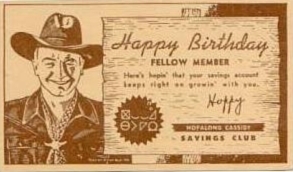 He was originally offered the part of Buck Peters the foreman of the Bar-20 Ranch, but after some deliberation with Sherman, was finaly given the part of Hoppalong. Boyd took the despicable personality of Hoppy compleatly changed the character to a clean cut, quick witted and courageous. The new Hoppy didn't swear, smoke or drink anything stronger then sarsaparilla. 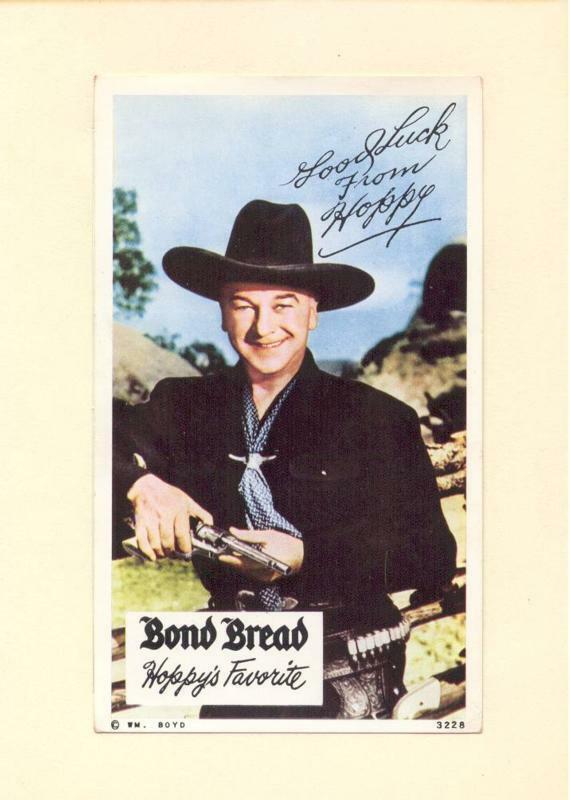 The summer of 1935 marked the appearance of the series, entitled "Hopalong Cassidy". This was the introduction of a different kind of cowboy. The initial entry not only served to introduce Bill Cassidy and the origin of his nickname, but also delt with the escapades of his two partners "Johnny Nelson" (James Ellison) and Red Conners" (Frank McGlynn, Jr.). That same year saw the release of two more smash hits "The Eagles Brood" and "The Bar-20 Rides Again." After the release of these films, Boyd once again enjoyed the acclaim he had experienced in the past. Hopalong Cassidy was the most outstanding "B" western ever produced, due in part to photography and picturesque settings, substantial budgets, adequate filming time, and well written scripts. After ten years and fifty-four features, the public had not lost their enthusiasm for the character, but there was a decline. Always optimistic, Bill decided to go it alone. 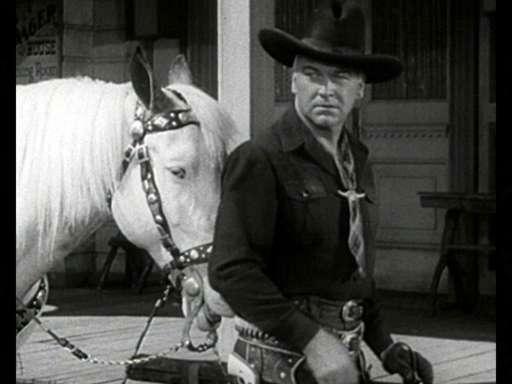 By 1946, he had taken over the producing reins and proceeded to film twelve more westerns under the United Artists banner, the last came in 1948 entitled "Borrowed Trouble." 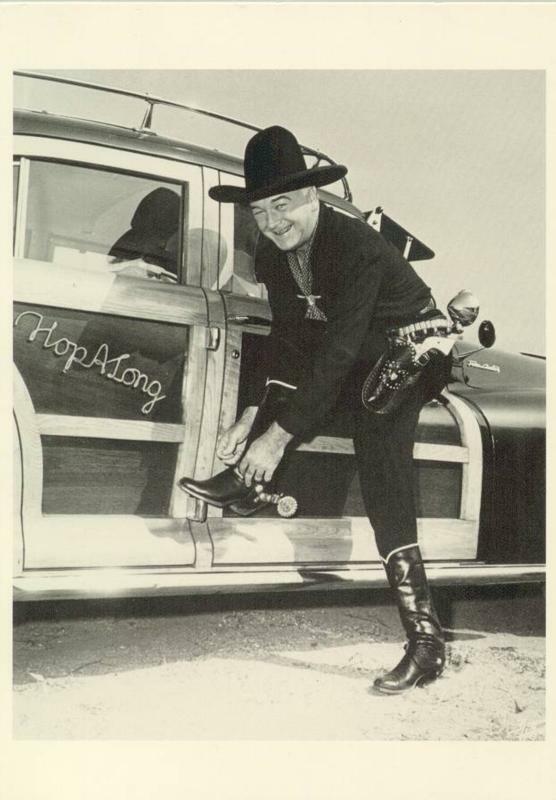 After this short series of productions, it became apparent that the popularity of Hopalong Cassidy was fading. Production costs, and low box office procides, left him on the verge of financial ruin. This changed with the breakthrough of television. Bill purchased the TV rights for Hoppy. Boyd used up all of his available funds and borrowed where ever he could. This venture, risky as it was, paid off. 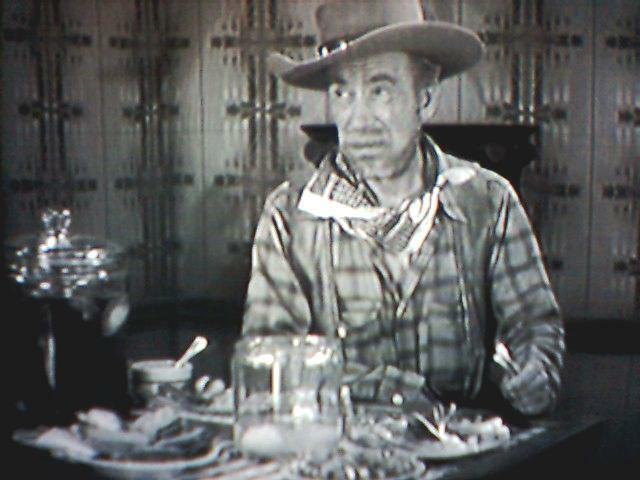 He sold his westerns and filmed fifty-two, 30 minute episodes with his new side kick Edgar Buchanan. 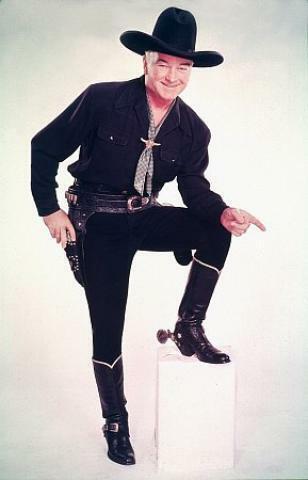 Television not only revived the character, it also made the name Hopalong a household name. Hoppy looked great with his white hair, broad shoulders and black outfit, sitting on his white stallion Topper. This time Bill hit the jackpot. 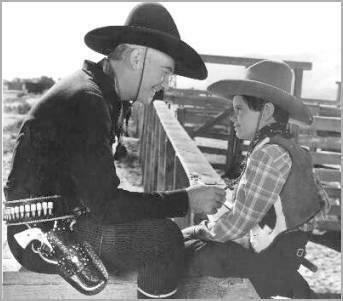 By 1950 Hopalong Cassidy was everywhere: radio, television, comics, newspapers, magazines, records, toys, candy, cookies, books, hair tonic and believe it or not the first children's lunch box to show a picture. Hoppy mania was wide spread, the market was flooded, and demand was overwhelming. Bill also started a juvenile club called "Hoppys Troopers" whose overall membership rivaled that of the Boy Scouts. 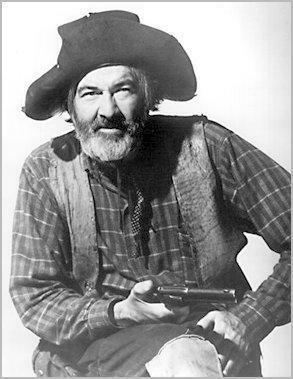 William Boyd retired his guns In 1953, but still continued to rake in the royalties until the late 1950's when he sold the rights to the character. Boyd portrayed in real life as he did in the films, a man of honor, integrity, and enthusiasm which parents and children came to love and respect. To show his gratitude to the millions of fans, he donated a huge portion of his wealth to orphanages and children's hospitals.